Steel vented pull pins are among the most popular pull pins currently available on the market. These pull pins are easily removable thanks to a flat vent, which runs along the pins length. They are made from 1144 Carbon Steel and meet material specification ASME B18.8.2, with a double shear breaking strength and Rockwell Hardness of C47. 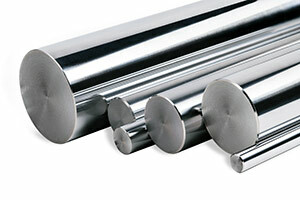 Our pull pins are 100 % reusable; they can be repurposed several times, providing great cost efficiency to any project. The vented pull pin is designed to hold indexing devices in place, while restricting any kind of movement. A common issue among pull pins is that they can shift around in applications involving moving parts or ambient vibration. If a pull pin moves out of place, it can be detrimental to your productivity. 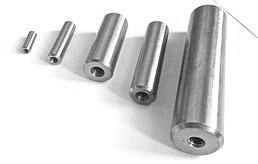 Apart from supplying standard specification pull pins, we can create custom pull pins based on your application requirements. Contact us to let us know what you need and our seasoned team will manufacture a highly precise pull pin. Please browse our Product Catalog to find the exact specifications for the steel vented pull pins we offer.